The original 7.62×39 M43 round was made for the SKS and later AK47 rifles. Since I have a vz58 compact rifle also chambered for it, why would I want a slower bolt action carbine? For one, it’s a work of gunsmithing art, well-finished and pleasant to handle. It is fairly light, well balanced and easy to carry in the field. The express sights are excellent for close-range snap-shooting, but it truly shines out at longer ranges up to about 250 meters. In the terrain where we walked yesterday, the longest unobstructed shot was below 50 meters at best. CZ527 comes with a single set trigger. Pull it, and it’s crisp but heavy enough for field use, push it forward and it’s set to a lighter pull for a more precise shot from a supported position. With quality ammunition, it’s a very accurate gun. I plan on scoping it at the next opportunity, probably with a 3-9x Accupoint. The difference between the carbine and a full-size hunting rifle becomes very obvious on broken terrain. Likewise, light recoil allows safe firing from perches on which .308 would give the shooter too much of a shove. I am a big fan of removable box magazines. They make it easier to safe the rifle than blind magazines, and also allow switching ammunition types quickly. This entry was posted in hunting, rifle and tagged 7.62x39, bolt action, carbine, CZ. Bookmark the permalink. I have one in .223. It is a great rifle. I need to pull it out of the safe, and go shoot it. Great photos, I was just reading about these before since I really want to get one this year. I’m a little surprised I don’t hear about these more often, I’ve never read anything but praise for them. I think it would make a perfect compliment for people like myself who already have an AK/SKS and don’t want to invest in a new caliber. I’d love to see more of it after you get a scope for it, I haven’t nailed down what would work best for it. Nice carbine!! I don’t care for the magazine (they are to easy to damage) but that wouldn’t stop me from buying one. 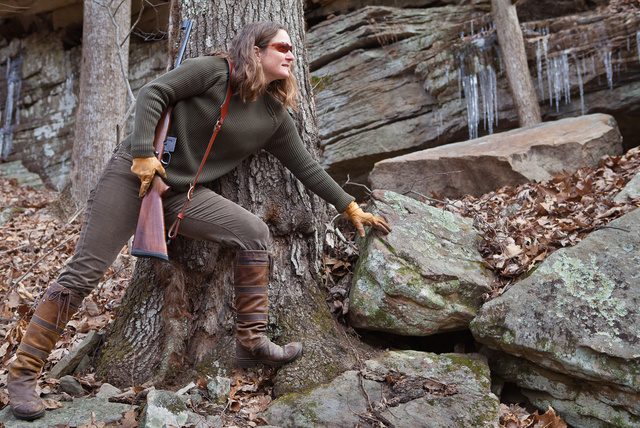 Love your friends outfit too , in winter hardwood forest/ scrub that would make you vanish far better than cammo. At 100 to 150 M. she would just fade into the background. With a discreet bag she could also fade into a suburban/urban background. Camouflage does not equal Camo. It’s the gun I start my kids out on hunting big game. the 10 ring at 100 yds all day long. Excellent rifle. The magazines are pretty tough, solid construction, like the rest of the rifle. I am very fond of mine – wonderful carbine. You can also sabot that round, put a 223 projectile in a .30 sabot, and load it nicely, and have a rifle that shoots a round that has absolutely no ballistic fingerprint. Not very accurate though. Until they find the sabot, which usually sustains far less damage than the bullet. Methinks, a shotgun would make more sense. The only thing that has stopped me from buying one of these is the rear express style sight instead of a rear peep. New England Custom Gun makes that exact animal (rail mounted peep sight) so your wait is over. :^) No skin in the game, just an enabler. A vz.58 does approximately the same thing, but it’s slightly less accurate. I’m not convinced it’s so inaccurate that there is a practical difference. Especially the newly made ones, which are still cheaper than 527. Somehow. A lot of the time I don’t want a Hi-Cap semi-auto. A bolt gun offers me a lower “profile”, reduced ammunition consumption, greater first round “kill” probability, and the ability to recover my “brass”, leaving a lower “footprint” behind me. Making me much harder to both “track” and “profile”. As Oleg pointed out, on that terrain, and with that kind of “brush” a single 20 to 75 Meter shot may be the only one you will get. With the ability to shoot surplus ammunition and having a built in scope mount; For deer, hog hunts, or SD that rifle is almost the ideal weapon in the Eastern Hardwood Ecosystem. Perhaps for SD cases involving a single adversary, or multiple ones willing to go one-by-one. It’s far easier to shoot-to-kill with a semiautomatic weapon. 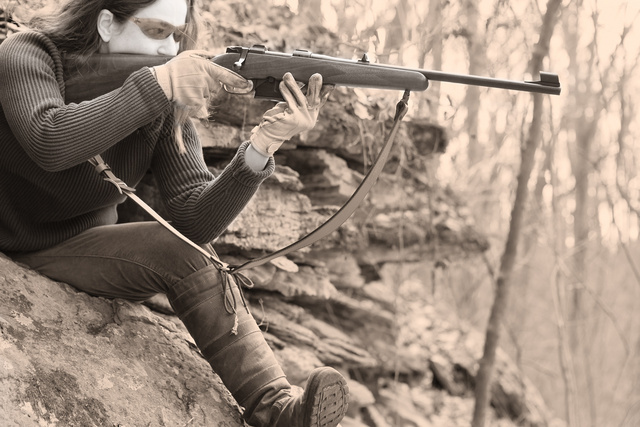 A bolt-action user has to be much more accurate to be equally deadly. 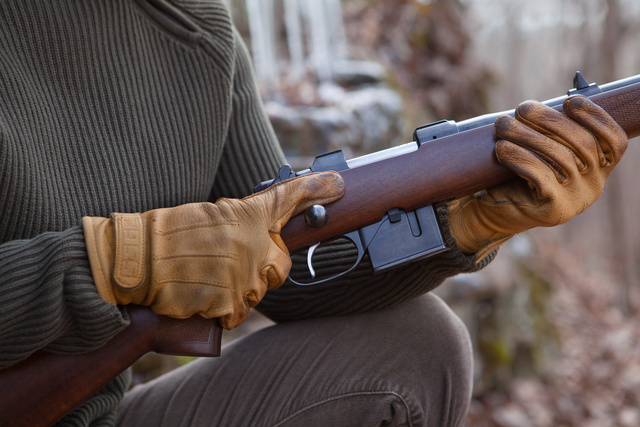 Another long-time satisfied owner / shooter of this one – nice little brush carbine. Mine wears an old Weaver K3 vertical post – horizontal wire reticled scope. Now if only the deer would cooperate . . . :^) I purchased it back in the very late ’90’s when Wolf ammo was $2 – $3 a box *(sigh). Two complaints – the cost of extra magazines is pretty expensive and the high bolt throw forces to choose a medium-high scope mount or custom bolt job install by James Calhoon. But well worth – great rifle. Got one of these as my wife’s deer rifle. Last time she sighted in for the season she fired the first round (onto a “shoot-n-see” target) onto the “x’. 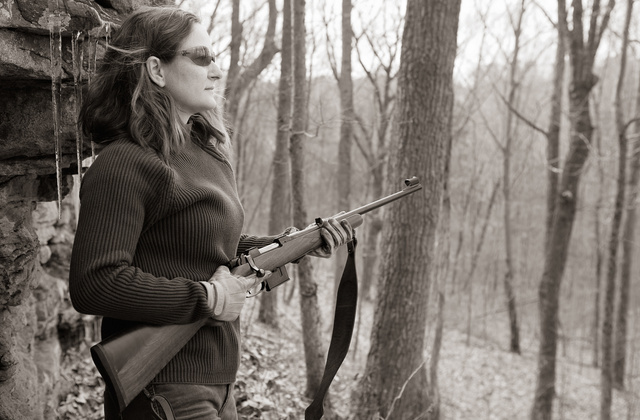 I told her that, so fired a second round…and with the spotting scope I had to tell her I had no idea where it went. Same thing for the third round. Couldn’t believe she’d missed the whole target, so we made safe and walked the 100 yards. All three holes were clover-leafed into one ragged hole. She smiled sweetly at me and asked, “Do you want to try it?” Not wanting to spoil her target with my lousy shooting I declined. Note that we were shooting steel-cased Wolf HP rounds, about as cheap as you can get. All of the stuff about how “7.62×39 is just not an accurate cartridge” is so much hooey; everybody is shooting it out of horribly inaccurate carbines like an SKS, AK or Mini-30. Put REALLY good scope on this thing, because it’s worth it. Would this make a suitable Scout rifle? 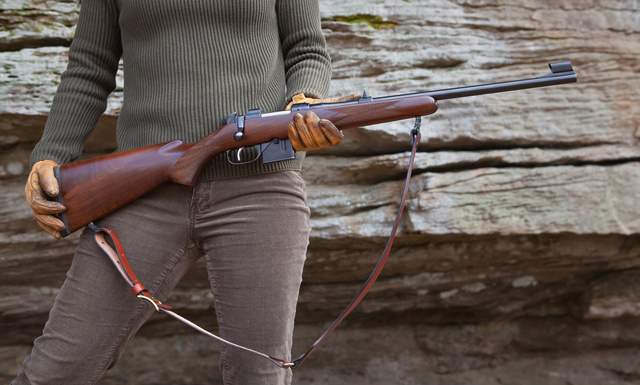 Similar to the Ruger Gunsite Scout model? why would I want a slower bolt action carbine? Today a TV/novel “survival situation” features hoards of zombies or similar. Therefore untrained people need full-auto weapons, and apparently unlimited ammo. What if it’s TEOTWAWKI reality. Shortly the zombies are dead, and you’re out hunting dinner with limited ammo. The untrained survivors have either learned, or they’re with the zombies. With a bolt action, or even a single shot (my deer gun is a New England in .308), there’s more emphasis on one good shot as opposed to spray-n-pray. Most importantly, a bolt action doesn’t throw valuable brass away.